Son of Robert Berry and Violet May Eaton, Chilliwack, B.C. In 1935, Douglas Eaton, who worked as a fur farmer, left Alberta and came to Chilliwack. On arrival he continued to work in fur farming until he enlisted, at the outbreak of the war, with the Westminster Regiment. Following training in Canada and England he went overseas with his unit, part of the 5th Canadian Division, and served in the Italian campaign. On August 29, 1944, when the regiment was heavily shelled on the approach to Coriano Ridge during the Battle of the Gothic Line, Eaton received mortal wounds and died August 31, 1944. At the time of the action Douglas Eaton was preparing to cross the Foglia River. A brother, W.B. Eaton lost his life in a bombing mission over Hanover, Germany, in October 1943. In 1935, William Eaton arrived in Chilliwack where he attended both public and high school. In November 1941 he chose to leave school to attend R.C.A F. pre‑vocational school in Vancouver and commenced training with the R.C.A F. in Edmonton. He graduated as an air gunner from the MacDonald Bombing and Gunnery School and proceeded overseas in January1943. Eaton was a member of 7 Squadron, a unit of the Royal Air Force's Pathfinder Force. Pathfinders flew in advance of the main bomber strike force and on arrival at the target dropped flares to mark the target distinctly. Eaton lost his life when his Lancaster aircraft failed to return from an operation against Hanover, October 9, 1943 when the aircraft crashed at Wormstal Bauerhof. Three members of the crew became prisoners of war including Sergeants F.E. Bryant, R.J. Reeves and R.A. Woodward R.A.F. Crew members killed were initially buried at Altenhagen and include Warrant Officer P. Hartstein, Sergeant E. Kempson R.A.F. and Flight Sergeant T.C. O’Sullivan R.A.A.F. A brother, D.B. Eaton, died of wounds in Italy, August 31, 1944. Son of Dale Edwin and Lula Josephine Edgar, Vancouver, B.C. "Jack" Edgar was born in 1915 at North Battleford, Saskatchwan and moved to Chilliwack with his family in 1925. 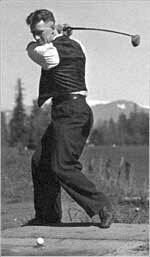 Prior to the war, he worked in Chilliwack for Overwaitea Ltd. and was a popular athlete, no doubt encouraged by his father who was prominent in Chilliwack Amateur Athletics. Jack maintained an interest in amateur radio work, model airplane building and was a member of the Chilliwack Volunteer Fire Brigade. He was interested in aviation and joined the Royal Canadian Air Force, graduating from Yorkton, Saskatchewan as a pilot. Once in England, he served for a year and nine months as a flying instructor. In August 1943, Jack began operations, flying Beaufighters in India with 211 Squadron. On December 27, 1943, Jack's aircraft lost one engine and crashed six miles east of Ranchi, India. Son of Sydney Linacre and Elizabeth Eversfield. Husband of Neva Josephine Eversfield, Duncan, B.C. 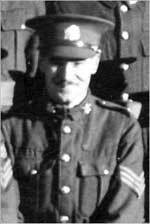 Born at Cardston, Alberta in 1906, Eric Eversfield resided in Chilliwack for eight years prior to his enlistment in the R.C.A.F. 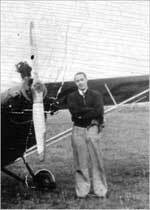 During this time he was employed by Brett's Garage and was active in flying as a member of the Chilliwack Aero Club. On one occasion he escaped with only minor injuries when the plane he was piloting crashed into the gasoline pumps of the Empress Service Station. He married Neva Webster of Revelstoke in 1940 and went to live, for one year, in Sydney on Vancouver Island. Upon joining the R.C.A.F. he was sent to Toronto for training and graduated as an air gunner. In February 1943 he began active service with 12 Squadron and took part in operations against Germany and Italy. On July 4, 1943 his Lancaster bomber was shot down, south of Cologne. News confirming his death was obtained by the International Red Cross and forwarded to his wife. One member of the crew survived as a prisoner of war, Sergeant C.W. Young R.A.F. One crew member’s body, Sergeant L.S. Capp was buried in Rheinberg War Cemetery, however all other R.A.F. crew members are commemorated on the Runnymede Memorial and include Sergeants N.E. Hill, C.W. Young, J.E. Foy, S. Whitelock, S. Barham and L.H. Everton. At age 37, Eversfield was considerably older than most air crew members of Bomber Command.